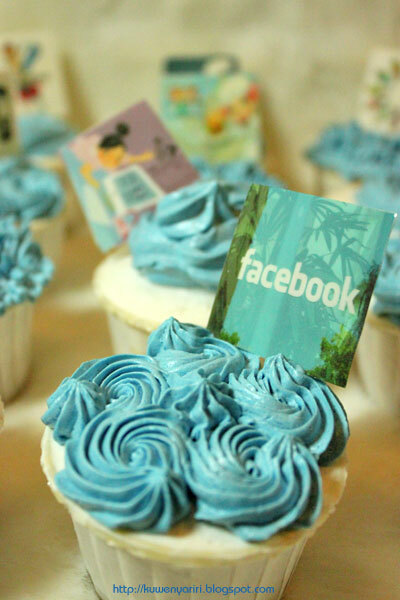 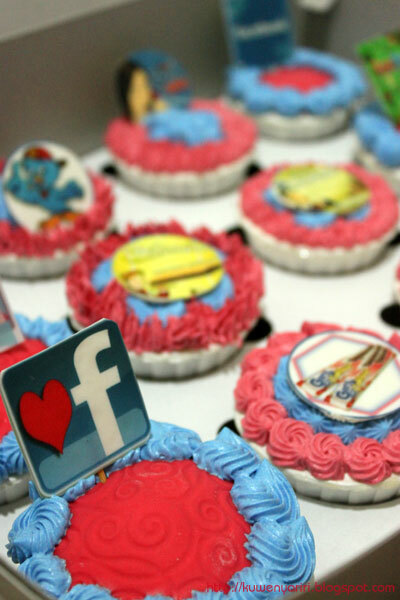 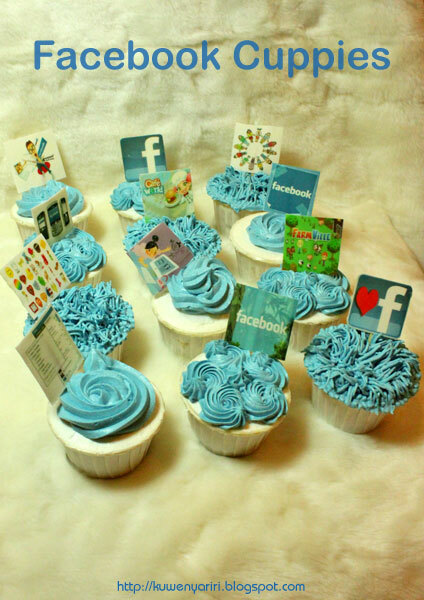 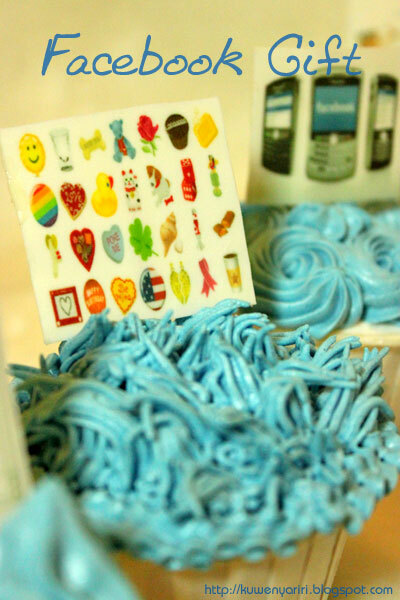 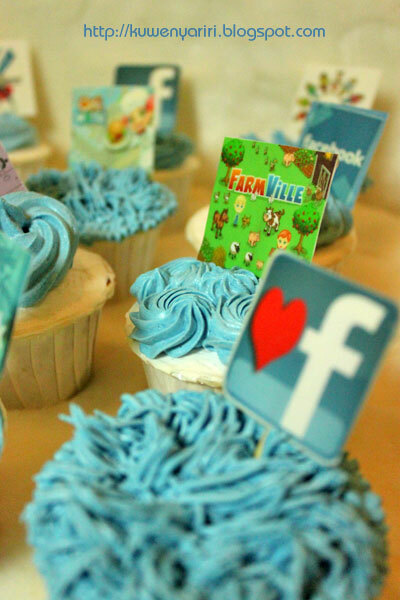 Iyut, this time she represents her company, FACEBOOK (FB) to order cupcake for her clients. 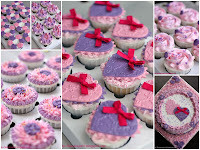 She wants cuppies with FB touch.. Hmmmm, besides blue, what would i see in FB ya?? Collect all featurs of FB that familiar or at least popular now days and made the to the edible sheet. 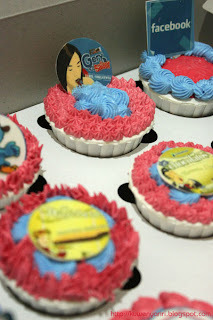 For Starting, this is what i had in mind..
And these are next order for Garuda Food pak Ferry..